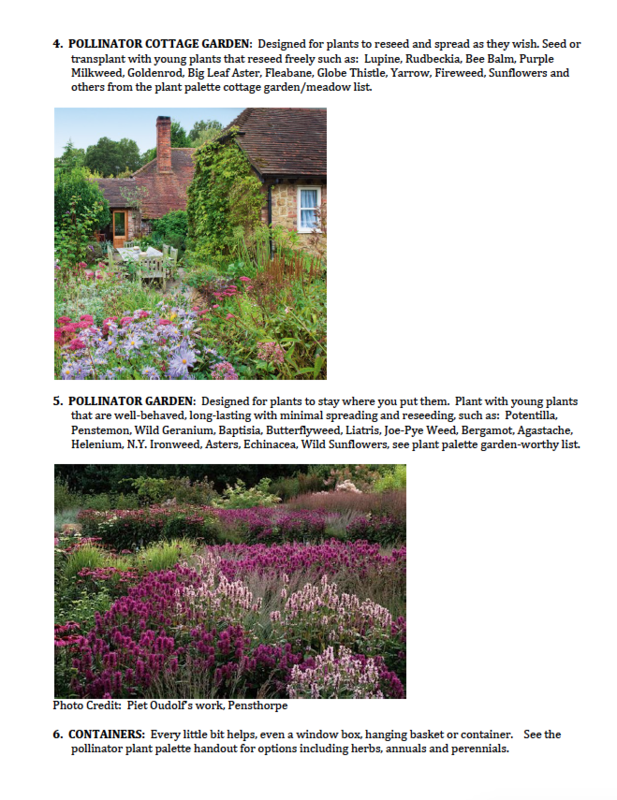 http://www.northeastpollinator.com is a web-based regional storefront offering pollinator perennials to the New England and New York states with deliveries June through September. While spreading the word about pollinator gardens in talks throughout the region, Jane was often stumped for an answer when folks would ask, “where can we get these plants?”. After some reflection, she decided, well someone has to do this. Hopefully there will be many local native plant nurseries springing up in our region, until then, we’re happy to fill the niche. Meanwhile, we continue to sell plants for pollinators at our farm in Fairfax, VT, from the day we open on May 1st to early September. If you’re particularly interested in chatting with Jane about pollinator gardens, habitat enhancement, selecting plants for your situation or having her give a talk in your community, shoot her an email to set up a good time to meet at the farm: riverberryfarm@gmail.com. Populations of pollinators like native bees, wasps, butterflies, moths, beetles and hummingbirds and the non-native European honeybee are in decline. Researchers are studying the causes and determining pesticides with fragmentation and loss of habitat are the prime suspects. Much more research is needed to verify the losses and causes. We’re lucky in Vermont that we still have lots of good habitat, but we need to be diligent to not lose what we have as more land becomes developed. Meanwhile we can all pitch in to help. With more of the land being domesticated, it is up to us domesticators to plant the right stuff and help support these critical pollinators. Jane is passionate about garden design for enhancing pollinator habitat and is determined to help gardeners make plant and design choices by providing information and plants at River Berry Farm. 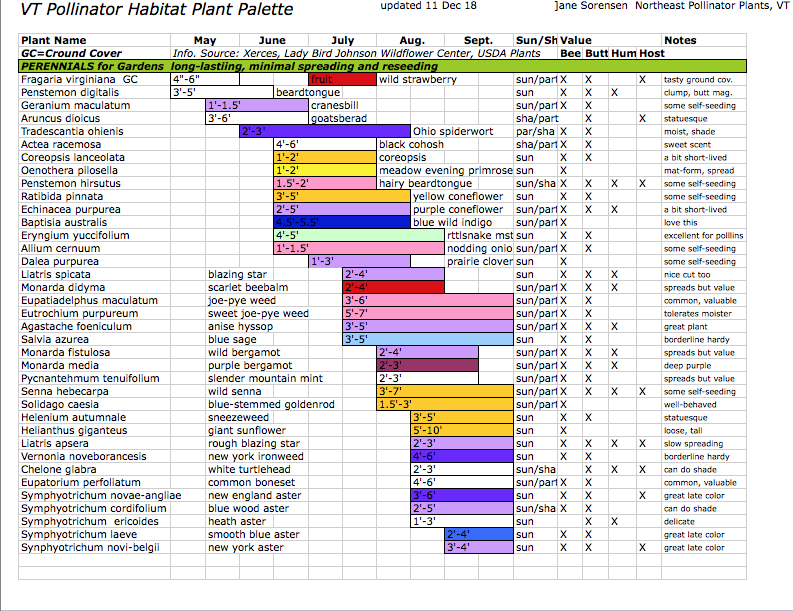 FOOD: An ideal pollinator garden would include at least nine native flowering perennial species; selecting three species that flower early, three mid and three late plus some native grasses for nesting. 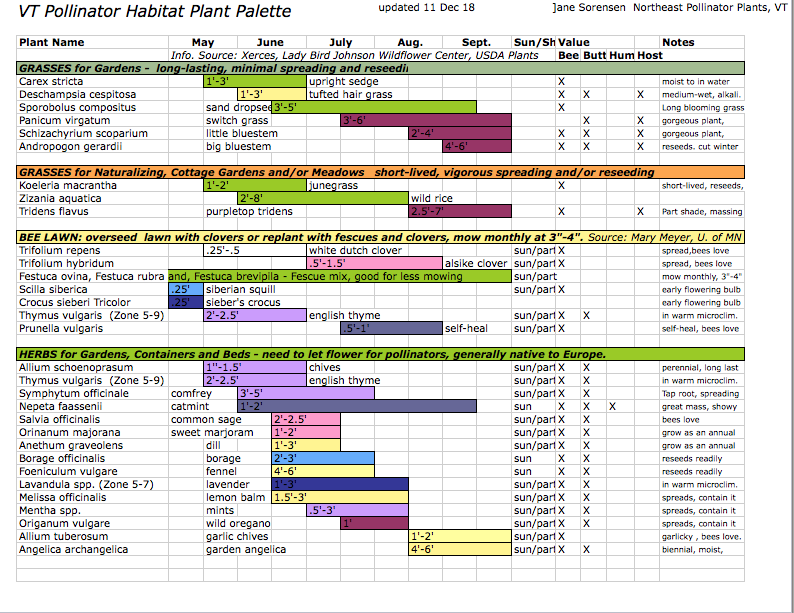 It is best to plant in large swaths of at least six of each species for efficient foraging. Add native trees and shrubs to extend the flowering times. 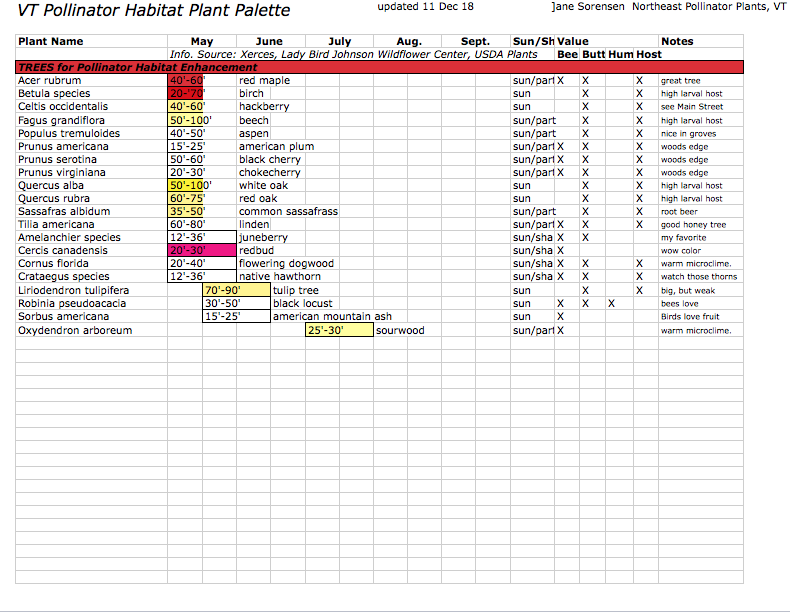 View our nifty spreadsheets below for a partial list of great plants for pollinators for our eco-region. 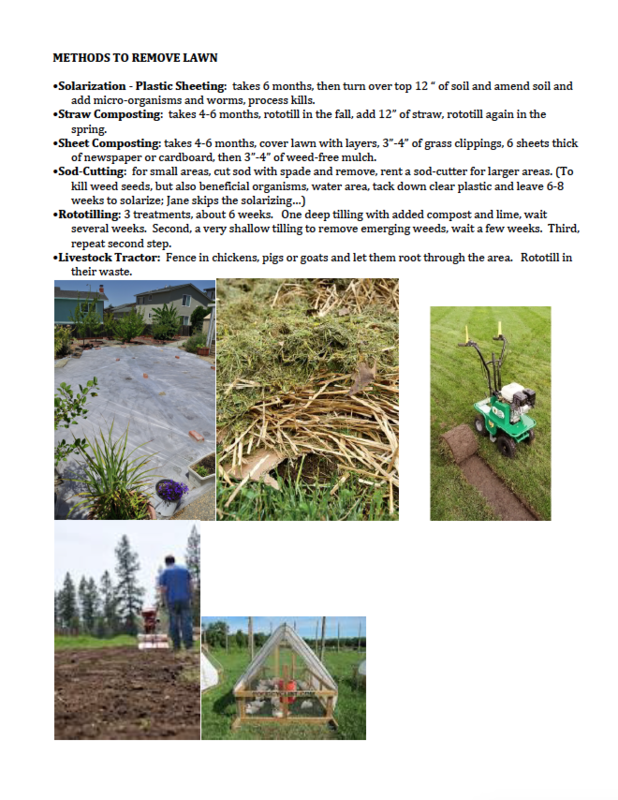 SHELTER: Leave some nearby bare loose, undisturbed soil for ground nesters and nice pithy or hollow stemmed shrubs like elderberry, sumac or raspberries for wood/cavity nesters. Add human-made nesting boxes only if you will be diligent about maintaining these, cleaning thoroughly yearly to avoid adding more disease issues for our already stressed pollinators. WATER: Ensure access to clean shallow water by planting some cup-shaped leave plants or carefully maintaining a shallow bird bath. No chlorinated water please. flowering time so you can ensure you have at least three species flowering at a time. Many of these are available at River Berry Farm. Our selection changes yearly. 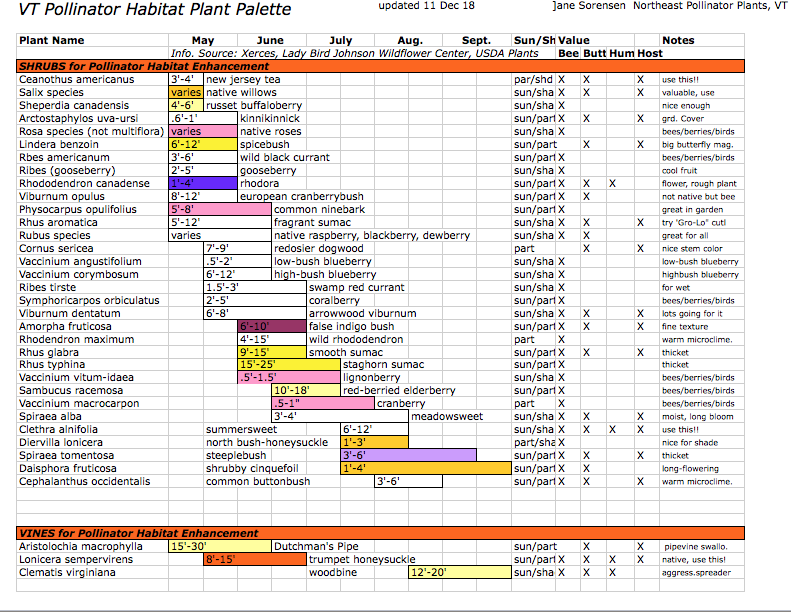 Pollinator Partnership, Planting Guides by Ecoregions. 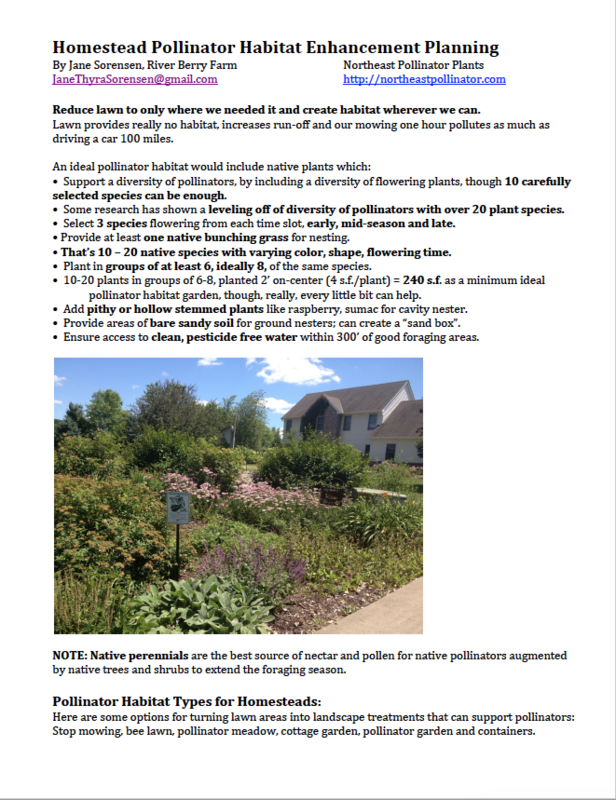 http://www.pollinator.org/guides.htm. William Cullina’s Wildflowers: A Guide to Growing and Propagating Native Flowers of North America.,2000. Henk Gerritson and Piet Oudolf’s Dream Plants for the Natural Garden,, 1999. Heather Holm’s Pollinators of Native Plants, 2014. Ernst Seeds, Meadville, PA http://www.ernstseed.com/. North American Pollinator Protection Campaign. 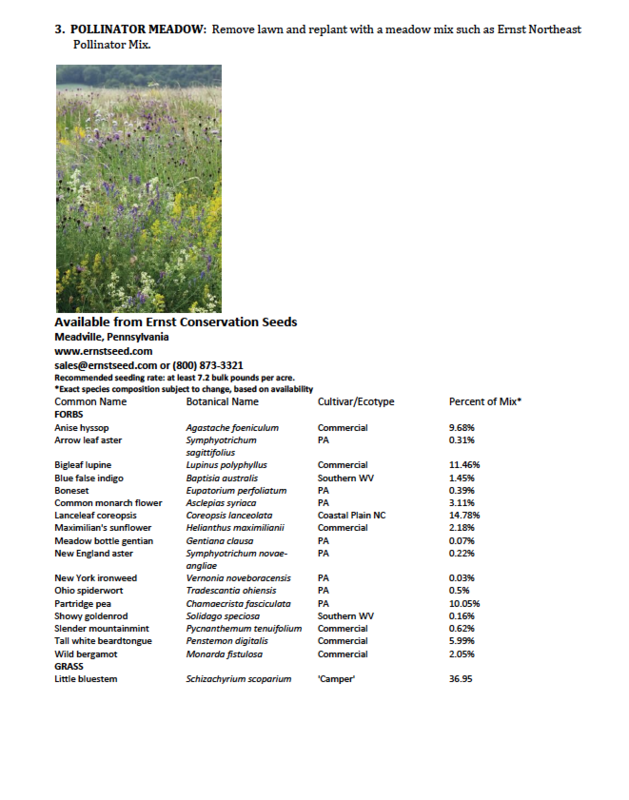 Managed Pollinator Coordinated Agricultural Project: 15 Universities and the USDA-NRCS. 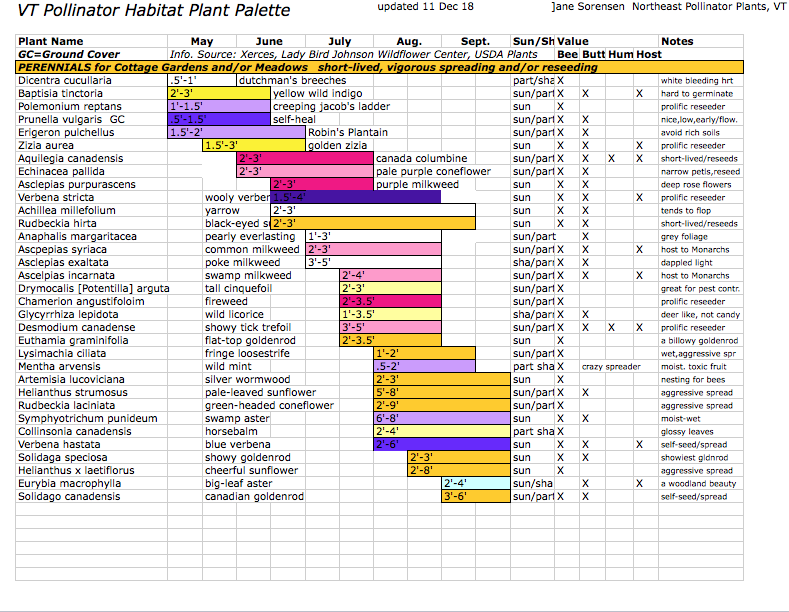 Attracting Native Pollinators, by The Xerces Society, 2011. 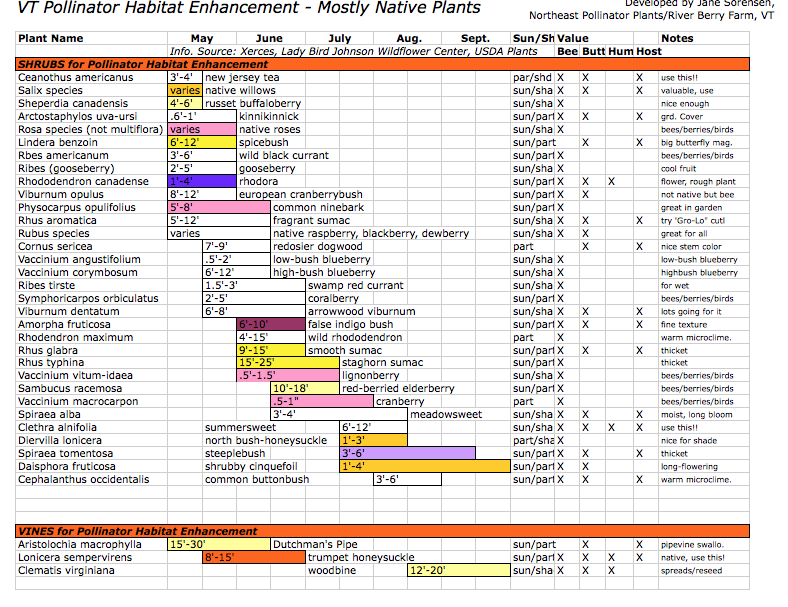 Pollinators of Native Plants, by Heather Holm, 2014. The Forgotten Pollinators, by Stephen Buchmann and Gary Paul Nabhan, 1996. Bringing Nature Home, by Douglas Tallamy, 2007. Wildflowers, by William Cullina, 2000. 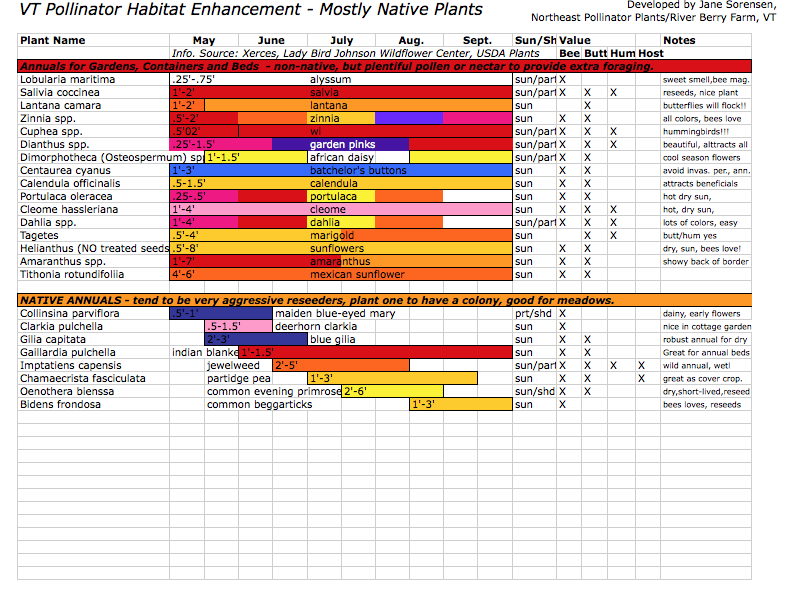 Native Plants of the Northeast, by Donald Leopold, 2005. Designing Gardens with Flora of the American East, by Carolyn Summers, 2010. The Green Garden, by Ellen Sousa, 2011. Meadows, by Catherine Zimmerman, 2010. 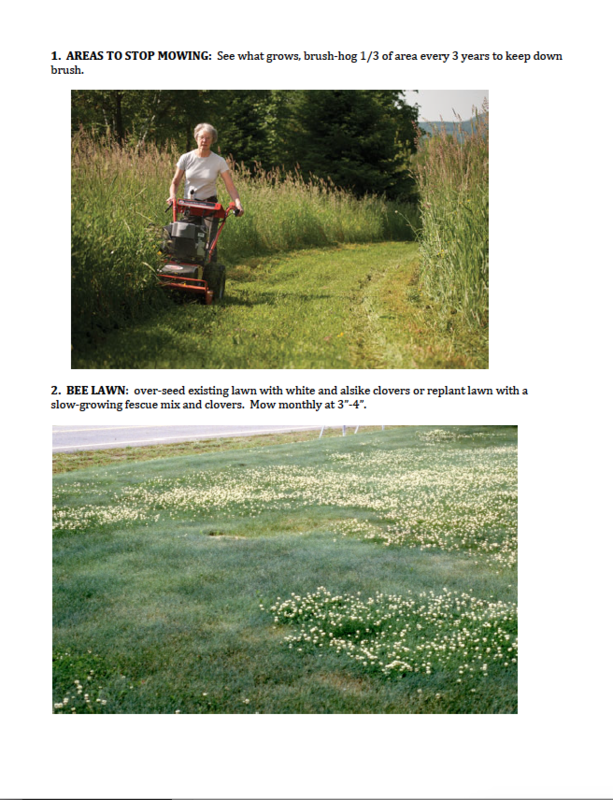 Beautiful No-Mow Yards, by Evelyn Hadden, 2012.